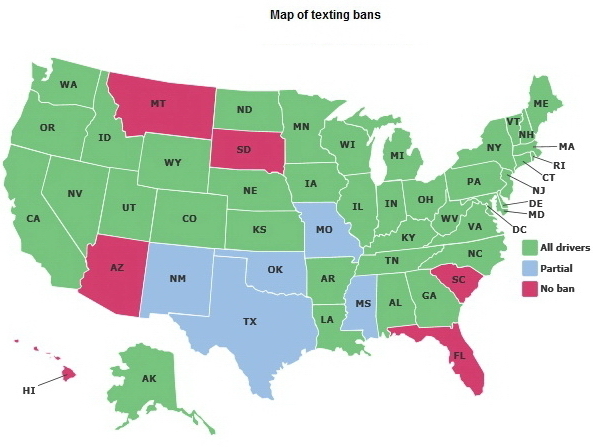 Flying in the face of the Florida Legislature’s continued arrogance in ignoring how the majority of other states have placed a ban on texting while driving, a recent poll showed that a 71% majority of Floridians support ban on texting while driving. Some members of the House have justified their reticence in passing a total or partial ban by claiming that there are “personal liberties concerns”. In the end, much like what transpired after the carbon monoxide tragedy that occurred in Key West, it will take a horrific accident and the death of one or more innocent victims for Florida legislators to pass a ban on texting and driving. A life that can be saved with the passage of a law today, will have to be sacrificed in the name of “personal liberties concerns”.